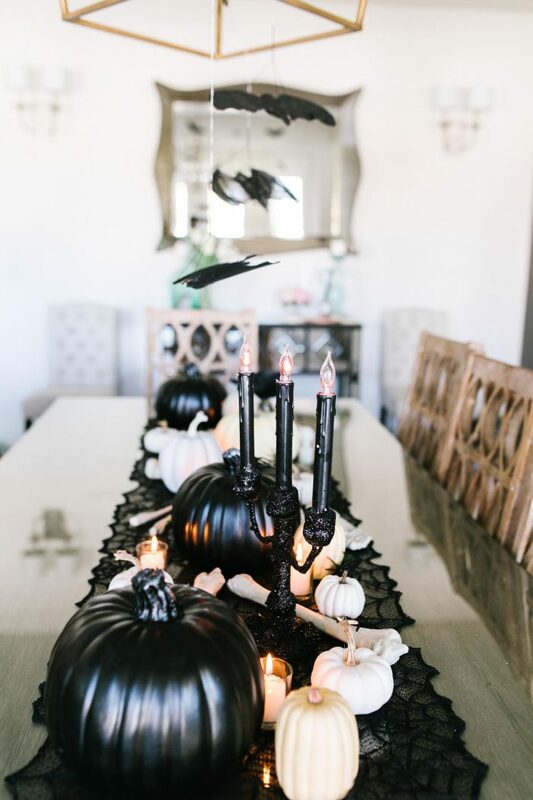 Halloween Decorations to Decorate Your Home Affordably! 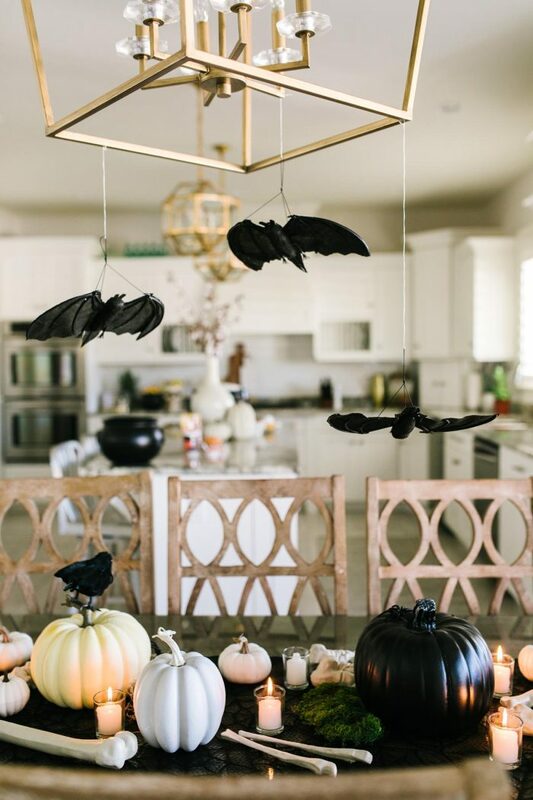 Halloween decorations are one of my favorite things to shop for!! 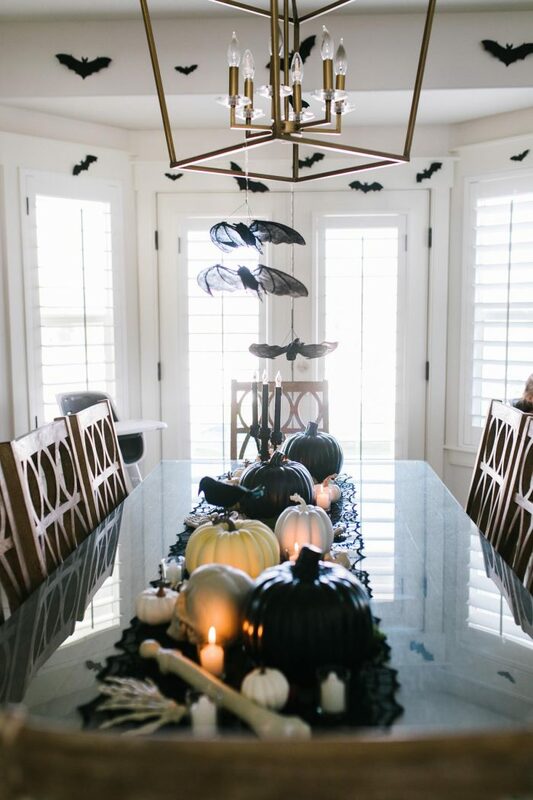 It’s so whimsical and fun…and I love candy corn…so what’s not to love? 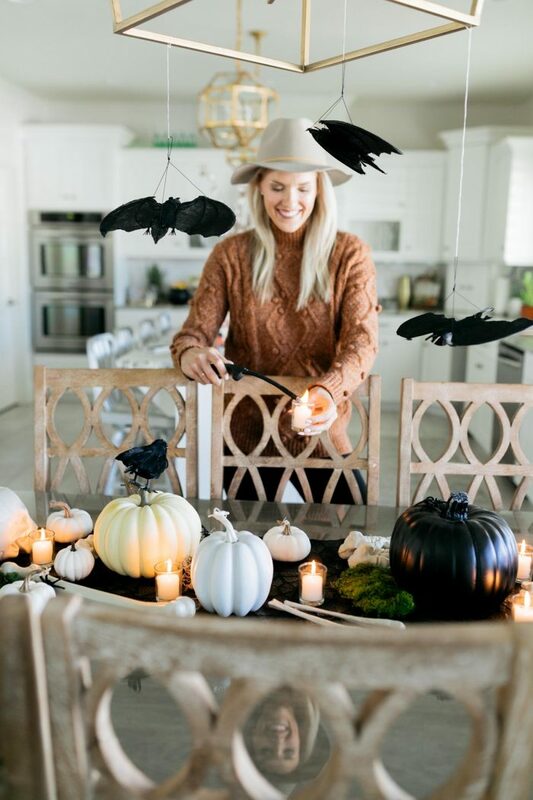 😉 I created some really fun Halloween decorations around my home and I’m excited to share with you all of the details below! 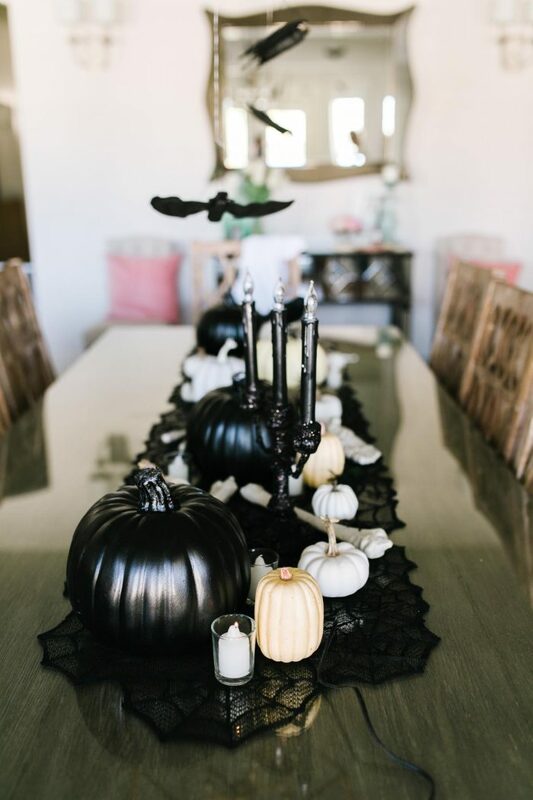 Halloween decorations are SO much fun, and I loved creating this Halloween tablescape to welcome Fall into our home! 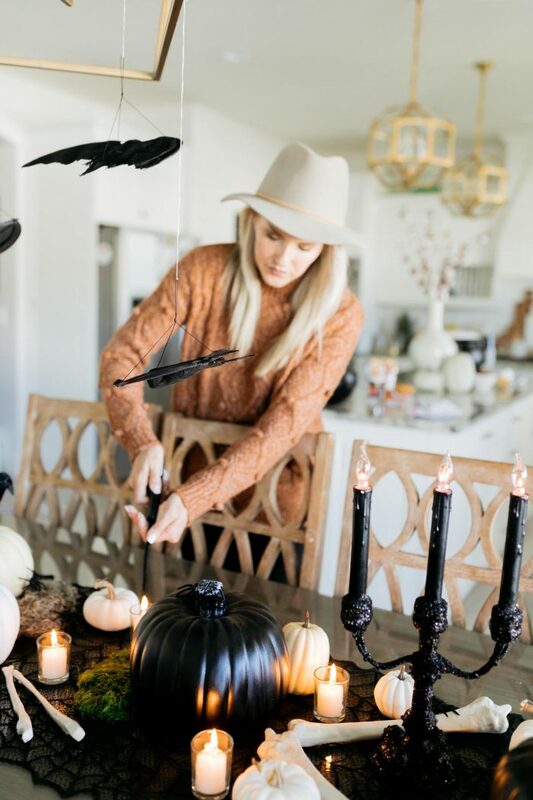 I teamed up with Walmart to create this post, and I can’t think of a better company to work with on this because they have the absolute best selection for Halloween, and it’s ALL SO AFFORDABLE. 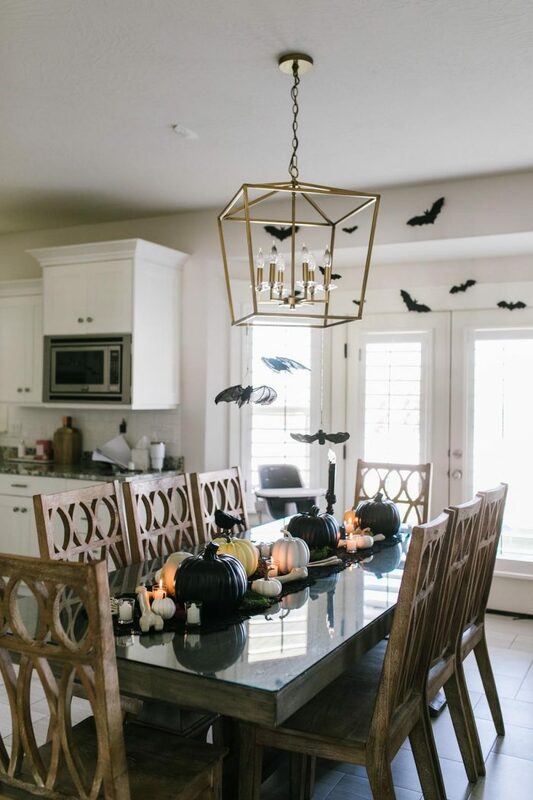 They make having decorating easy and accessible to all of us because it’s not going to break the bank. 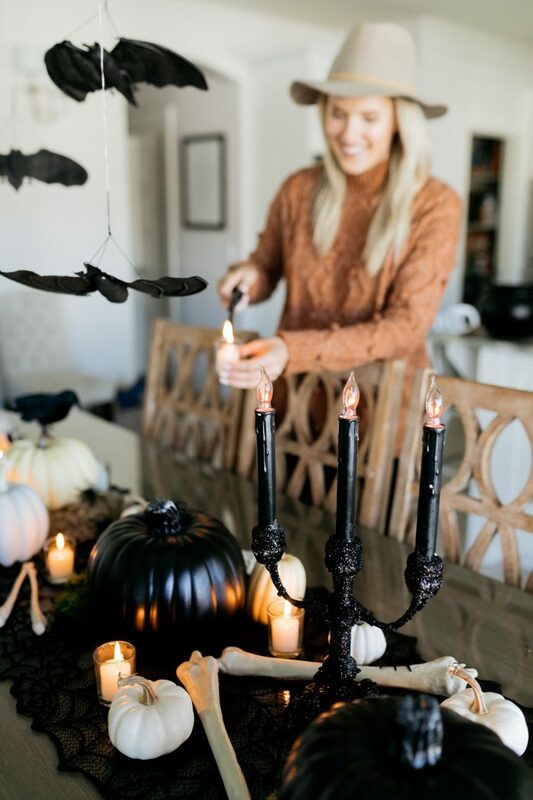 I started my Halloween decorations with this fun little spider web lace table runner, then added a bunch of pumpkins (these are my favorite), fake spiders, bones, candles (including this amazing candelabra), and hanging bats. 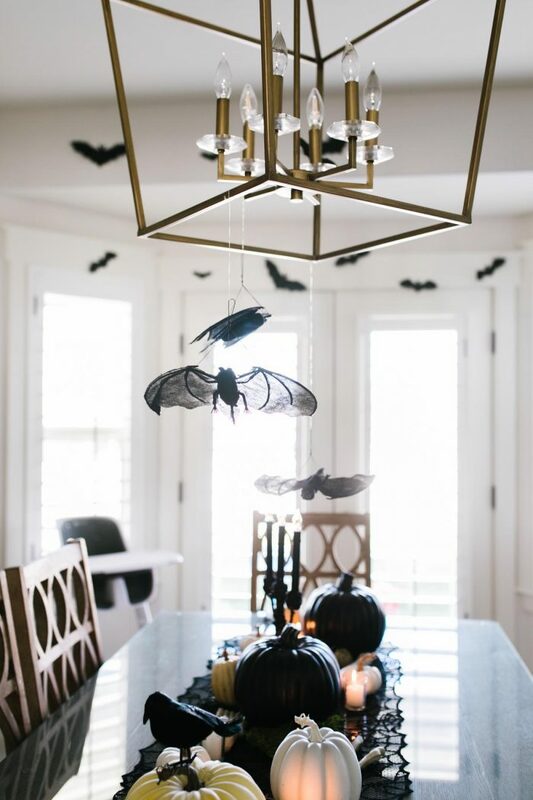 Look at this cute bat garland for only $2!! You know I’m a candy lover (ugh….I try to resist but I can’t fight it!!) and candy corn is my favorite, so if I come to your house to trick-or-treat, can you please pass me these? 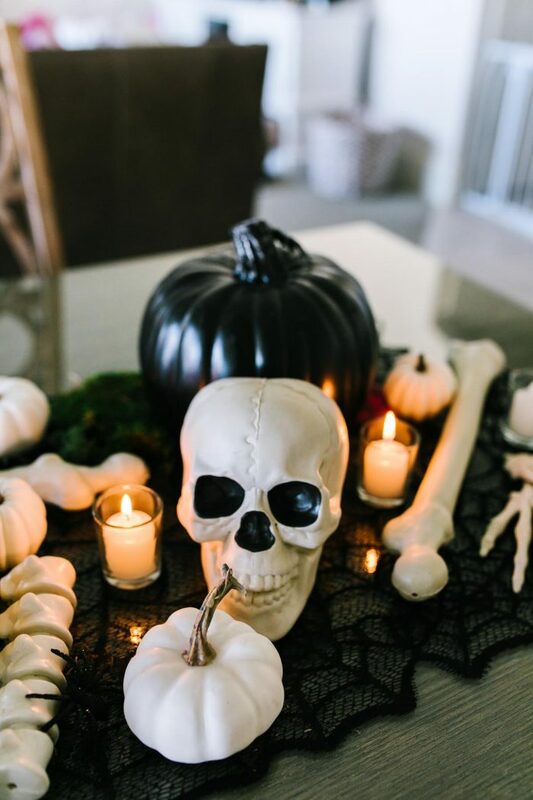 If you missed my post on Monday of my favorite healthy turkey chili recipe and how to easily serve dinner on Halloween, click here. 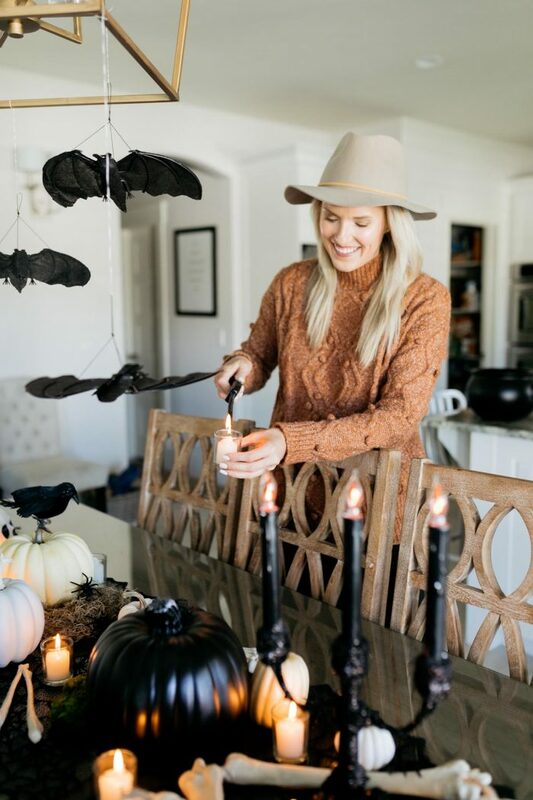 Happy Haunting, friends!! (I’ve been waiting 11 months to say that). 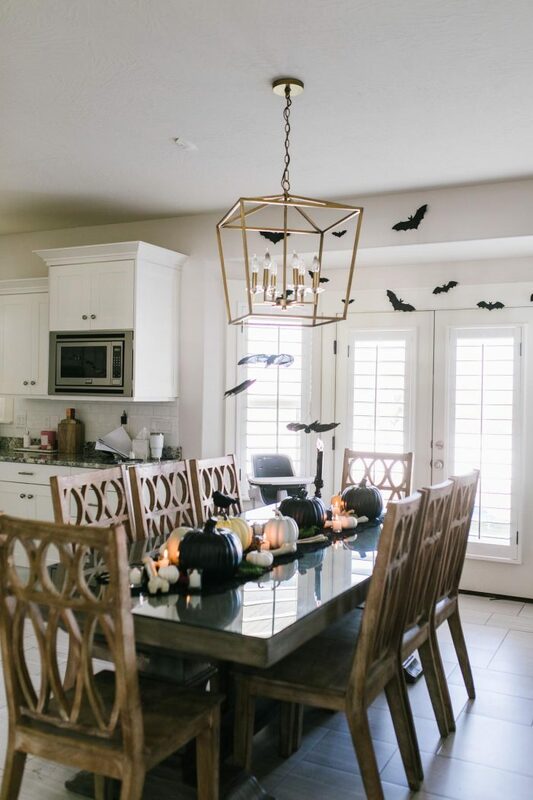 Below are my favorite Halloween decorations from Walmart. I’m so excited I can’t even handle this situation right now!! This post is sponsored by Walmart, a store I love and shop at regularly!